This tour itinerary is was designed to showcase Washington State to tour and travel professionals. It is an excellent example of some of the wonderful places and natural wonders of Washington that you can enjoy. The itinerary begins in Seattle and takes you through the nature attractions in Tacoma, Gig Harbor, Bremerton, Silverdale, Liberty Bay, Port Gamble, Port Townsend, LaConner, Mount Vernon, Everett, Edmonds, and back into Seattle. Arrive Sea-Tac and transport to local Sea-Tac Hotel as a gathering place and welcome. Transportation to Hotel Murano in Tacoma with spectacular views of Mount Rainier and Commencement Bay. Easy access to the downtown financial district and Tacoma Convention Center it’s also a short walk to the museum and theater districts, specialty shopping and scenic waterfront. With the deep blue waters of Puget Sound as a backdrop, the Zoo is nestled on 29 acres inside the 700-acre Point Defiance Park. Visitors enjoy watching icy-white beluga whales, playful pachyderms, sleek sharks and adolescent clouded leopards in award-winning exhibits. Tonight’s visit includes a journey through the tropical and colorful waters of the South Pacific and viewing of native cold water species featured in the North Pacific Aquarium. Tacoma Art Museum – Arrive at the Tacoma Art Museum, home to the largest public collection of glass sculptures created by Tacoma native and internationally renowned artist, Dale Chihuly. View examples from many of Chihuly’s major series of works: Baskets, Sea Forms, Cylinders, Macchia, Persians, and Venetians. Stroll the outside pavilion area of the Museum of Glass to view the stunning outdoor exhibitions by Patrick Dougherty, Mildred Howard and Buster Simpson. Continue up the stairs to the Chihuly Bridge of Glass, a 500-foot pedestrian bridge featuring three monumental exhibitions by Dale Chihuly: Venetian Wall, Crystal Towers and Seaform Pavilion. The kaleidoscopic displays act as Tacoma’s new welcome sign, artfully connecting visitors from the downtown to the waterfront. Gig Harbor for driving tour – Arrive in the town of Gig Harbor, the southern gateway to the Kitsap and Olympic Peninsulas, lies just across the dramatic Tacoma Narrows Bridge from Tacoma. This tucked-away town sits on a scenic inlet framing a postcard-perfect view of Mount Rainier. Gig Harbor’s strong Scandinavian and Croatian heritage has always influenced its nautical lifestyle and fishing-village character. Today visitors find specialty shops, creative boutiques, art galleries and waterfront restaurants and inns that add to its appeal as a wonderful, relaxing and nostalgic get-away. The Inn at Gig Harbor for lunch – Lunch at Heritage Restaurant at The Inn at Gig Harbor which specializes in delicious northwest cuisine featuring fresh seafood. From the northwest lodge-style fireplace to the historical photo gallery, The Inn offers relaxation and comfort in a spacious setting and offers 64 guestrooms, including 12 fireplace and Jacuzzi luxury suites. Bremerton Waterfront Tour- Bremerton is located on one of Puget Sound’s many harbors and has been the home of the Puget Sound Naval Shipyard since 1891. Harbor tours pass the shipyard where the Navy’s inactive fleet is moored. The USS Turner Joy, a navy destroyer, now functions as a naval memorial museum. Cultural attractions include the Amy Burnett Gallery, the Admiral Theater, the Bremerton Naval museum, and the Kitsap County Historical Society Museum. Bremerton’s annual Armed Forces Festival in May, first celebrated in 1938, is the oldest event of its kind in the country. Tour of Naval Museum – History of the U.S. Navy and Puget Sound Naval Shipyard are presented with displays of ship models, naval weapons, photographs and memorabilia from naval vessels. Provides up-close look at life on the sea, important moments for the Navy and the history of the Naval Shipyard. Children can grab hold of the captain’s helm and pretend to steer a boat to safety. Other features include a Japanese swords collection, a real mine, and Russian uniforms. Overview tour of USS Turner Joy – The destroyer USS Turner Joy is the first permanent, and publicly accessible, Naval heritage and educational ship attraction in the Pacific Northwest. The ship is maintained in its original condition and most spaces are open to the public. This Forrest Sherman-class destroyer was built in Seattle and commissioned in 1959, and decommissioned in 1982 after 23 years of Pacific Fleet service. Keyport and Tour Naval Undersea Museum – “Torpedo Town, USA” is the home of the Naval Undersea Museum, a joint project between the U.S. Navy and the local Museum Foundation. It is also home to the Naval Undersea Warfare Center, the second-largest employer in Kitsap County. Keyport to Silverdale, Washington – Silverdale’s rapid growth was spurred in part by the Navy’s decision to build a base for Trident nuclear submarines at Bangor, just minutes north of Silverdale. Local attractions include Kitsap Mall and the marina and Waterfront Park, along Dyes Inlet. The local favorite is the scenic Clear Creek Trail, which winds through Silverdale’s urban areas. Silverdale to Suquamish, Washington – Suquamish is on the Port Madison Indian Reservation, home of the Suquamish tribe. One of the most influential leaders of the Northwest, Chief Seattle, lived here and he is buried at Suquamish Memorial Cemetery. Located along Agate Pass and on Madison Bay, Suquamish enjoys some of Kitsap Peninsula’s most spectacular views, looking across Puget Sound at Seattle, the Cascade Mountains and Mt. Rainier. Suquamish to Poulsbo – In 1882, Norwegian immigrants established the fishing and farming community of Poulsbo on the Kitsap Peninsula fjord. Today, picturesque Poulsbo is known as “Little Norway on the Fjord”. Visitors enjoy the city’s international flavor, galleries, antiques and other unique shops, waterfront restaurants, kayaking Liberty Bay, and Marine Science Center. Poulsbo to Port Gamble – One of the last “company towns” in existence, Port Gamble is a walk back in time. Visit the cemetery that is the resting place of the first U.S. Navy man killed in service. Another point of interest is the town’s general store and museum, which is on the lower floor of the store. Port Townsend – Tour downtown Port Townsend and Fort Worden Historic Houses – Fort Worden State Park Conference Center is a 433-acre multi-use park with 11,020 feet of saltwater shoreline and a wide variety of services and facilities. The park rests on a high bluff overlooking Puget Sound. Many historic buildings remain at this 19th century military fort. Port Townsend to Friday Harbor, Washington – Board “Island Spirit” for dinner-cruise to Friday Harbor – Fantasy Cruises, Inc. – The “M/V Island Spirit”, a 130-foot vessel inspected and certified by the U.S. Coast Guard, offers seven-day luxury cruises exploring the San Juan Islands. Depart and return Seattle with port calls to picturesque La Conner; Rosario Resort on Orcas Island; Friday Harbor on San Juan, Island; historic Port Townsend on the Olympic Peninsula and Victoria, British Columbia. Amenities include 16 well-appointed staterooms with private head and shower, sumptuous meals with complimentary cocktails, and an attentive ship’s crew. Each stateroom has a large view-opening window and cabin controlled temperature. Various other cruise packages also available. Edmonds to Everett, Washington – Home of, and the main plant for, Boeing. Planes are produced in the largest building in the world, and tours are available. Also home to the second largest marina on the west coast. Watch the activity on Port Gardner Bay from the waterfront brewpub, restaurants or hotels. A farmers market operates June through September. Tour Pike Place Market – Situated just above the waterfront, the market is popular with natives tourists alike. It is a vital part of Seattle’s economy, receiving more than nine million visits each year. It features about 600 businesses including farmers and merchants that offer fresh vegetables, seafood, food bars, cafes, restaurants, crafts, art work, and gifts from booths, stalls and shops, and the original Starbucks. The market was born in 1907, from citizen outrage at the high cost of produce, beginning with a handful of farmers with their wagons on Pike Place. It is the oldest continually operating farmers’ market in the USA. Option 2: Airport & Depart. SEATTLE EXPERIENCE – Wednesday, October 8: At the conclusion of the FAM, continue your day by experiencing the best of Seattle. Board a deluxe Seattle coach for a city tour and visit to the Museum of Pop Culture at the Seattle Center. 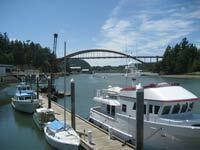 Then enjoy an afternoon cruise from Pier 56 to the wonders of Blake Island State Park and Tillicum Village. Tillicum Village is located on Blake Island Marine State Park, eight miles off the coast of downtown Seattle’s central waterfront in Washington State. Blake Island is believed to be the birthplace of Chief Seattle and became a state park in 1959. MOUNT RANIER – Thursday, October 9: Take a leisurely day trip to what Native Americans referred to as “The Mountain that is God”, Mt. Rainier. Mt Rainier is the tallest volcano in the Cascade Range, has the single largest glacial system outside of Alaska, is the Nations fifth oldest National Park and continues to astound, impress and inspire its visitors. On your journey to Paradise located at 5,400 feet, you will travel through old growth forests, along rivers and into sub-alpine meadows all the while keeping a lookout for the abundant wildlife that are indigenous to the area, deer, elk, mountain lion and black bears. VICTORIA, BC – Thursday, October 9 and Friday, October 10: Depart Pier 69 aboard the Victoria Clipper and cruise through Puget Sound to the charming city of Victoria. Enjoy a city tour and a stroll through world- famous Butchart Gardens and experience the tradition of High Tea at the Fairmont Empress Hotel. After a restful night’s accommodations at the Empress, Day two will feature shopping a visit to the Royal BC museum before returning to Seattle via the Victoria Clipper. Thank you for reading this itinerary for the natural wonders of Washington! For more information about accommodations and travel planning please visit the contacts below.